Pavan is using Smore newsletters to spread the word online. At a Cubs Game I went to on August 24th, I saw physical science in a lot of ways. I saw it in the pitchers pitching, hitters swinging the bat, and baserunners running. I never noticed this before, but in baseball there is lots of physical science occurring during the game. 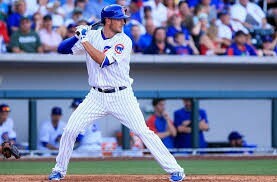 Kris Bryant before hitting a game-winning home run. 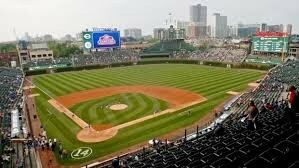 Wrigley Field still working after over 100 years of use. Chicago Cubs ace who was acquired by the Cubs before the 2015 season. The Cubs game was interesting with lots of great plays, pitching performances, and batting. Jon Lester pitched for the Cubs and did an incredible job. He gave up only one run. The Cleveland Indian's pitcher, Cory Kluber, did a great job too, only giving up only one run. The games score was 1-1 in the bottom of the ninth when Kris Bryant came up to bat for the Cubs. He then hit a towering home run to end the game. That was the most interesting part of the game. I think I am a very interesting person. I am a kind person and I will always do my best to help other people. Also, I am a major Cub's and I always keep up with the Cubs on "MLB.com At Bat". Finally, I always try my best in anything that I do, whether its a science test or eating a sandwich.